I just need to preface this post: I wrote this earlier today, and then in the afternoon went window shopping. It is now possible to buy "clogs" in Rubi Shoes (for 40 bucks. I thought about it, but I didn't buy any, because if I'm going to do it, I'm going to do it well. And also, fecking hell, they're selling them in Rubi now?! Goddamn fashion. 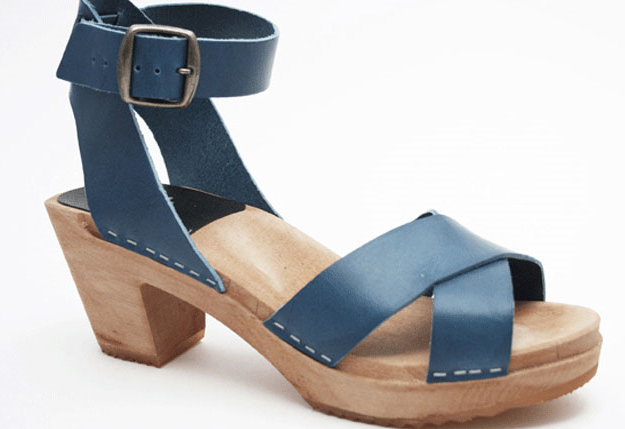 I am in the market for a pair of clogs. I’m not sure why exactly, but lately I’ve been feeling the need. Maybe I’ve been having 70’s flashbacks in my sleep or something. It’s like I’m trying to retread the paths well worn by my mother before me. Although, I think it was actually my dad who had a pair of cork-soled purple suede platform cloggettes. Worn, no doubt, with a safari suit. Shudder. Obviously, the best way to acquire a pair of genuinely Scandinavian clogs would be to go direct to the source, but since all my annual leave is used up until next October, and I don’t really have any money left after going on holidays, I’ve had to turn to the internet instead. 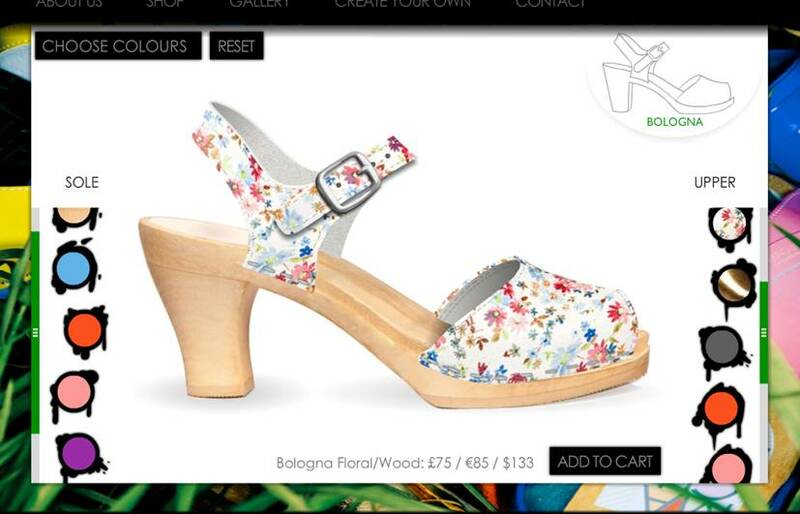 Options include clogs from Funkis. Pros of these include the colour (they also come in purple, patent or suede, which I love), the heel height, and the general loveliness of them. Cons include the price, which is $165 AUD (see above: Reasons why procurement cannot occur in Scandinavia), and also someone at work expressed dislike about the staples. I don’t mind the staples, all the genuine clogs I’ve seen are stapled, so I guess it’s not actually an issue. Since Funkis is an Australian shop, I could go and try them on, and could buy them in-store (and at the same time spend a huge chunk of money on some marimekko...), but that also means that as they get more fashionable, they will start to appear everywhere. [Especially now that a stupid cheap version is being sold at goddamn Rubi]. I should mention that in my internet travels, I have come to realise that most searches for clogs lead one to the kind of clog worn with socks by chemistry professors and Swedish academics, which is not really what I'm after. Also, I have found a company called "Ugglebo" which amused me greatly. Basically, I cast a wide net in my search, and have had to narrow it considerably as things have progressed. Maguba have predesigned shoes, or you can design your own based on a general style. Pros include the fact that they’re from overseas, so are less likely to be encountered on the feet of Darlinghurst fabulistas. Cons, however, include the fact that they’re from overseas, and so shipping would sting. The last few times I’ve bought things internationally, the shipping has cost more than the actual merch, and that shits me off. Oh, and I don’t like the heel shape, I wish it were straight like in the blueprint. These Modcloth ones are alright, I suppose, and very very cheap (by comparison), but they’re all man-made materials, and I’m not a huge fan of the studs. Also, I know that Modcloth uses FiftyOne for international shipping, so it’s very possible that shipping would cost more than the shoes. Like I say, that shits me. Also, the heel is probably too high for general weekend wandering. I guess that’s a no. Swedish Hasbeens designs are based on someone's genuine Swedish mother's shoes, made by real Swedes and sold in Sweden. Swedes Sweden Sweden. As the website says of the low heel, "This is the same wooden sole as my mother wore in the 70's when she wanted to be like Janis Joplin." I want them. I want to be like Janis Joplin in the 70's! Love the style. Love the heel height. Love that they are from Sweden. Love the colour. Do not love that they cost 1495 SEK (somewhere over 200 AUD). Though the green are reduced 30% at the moment, making them about the same price as the Funkis pair, there is no size 41. Sigh. I don’t just know.. these are very trying decisions. I really hope I get money for Christmas instead of random crap that I throw out in March.